*Disclosure: This post is sponsored by Groupon. Mother's Day is just around the corner! Ever since I've become a mom, I really feel that mother's day is everyday. It's not that I'm celebrated everyday. Hardly. It's that now, part of my identity is motherhood. I'm still me, but there isn't a moment when motherhood doesn't affect my decisions. Do I stay out with my coworkers for happy hour or go home to spend time with Phil? Do I draft that blog post now, or watch Daniel Tiger's Neighborhood with Phil? Do we take Phil shopping on the weekends, or do I go to a professional development conference? There are crazy days where I yearn for my single life (it happens! ), there are tiring days (and nights), and then there are days when I just want to spend the morning, afternoon, and evening cuddling with my little one, Phil. I've also learned the best from my own mom, and learned what not to do, such as incessant nagging and over-worrying. I've also learned to appreciate my mom, MIL, and mothers out there so much more because now I'm in their shoes. I've also learned that I'll never be perfect, but I'm doing the best job I can as a mommy, daughter, wife, physical therapist, author, blogger... me! I want to wish all you mamas and grannies out there a Happy Mother's Day, and to share all these printables with you! Motherhood has been a blast for me so far, and I can't believe Phil is three and a half years old now! He was nearing a year old when we started this blog! Here are 5 free mother's day e-cards for you to use to email to the mamas in your life, or to post onto their Facebook pages. Right-click to save-as this e-card image. You're my hero, mom! Right-click to save-as this e-card image. Amazing moms! Right-click to save-as this e-card image. Moms are super awesome! Right-click to save-as this e-card image. Hi Mom, happy mother's day! Right-click to save-as this e-card image. You're here for me, mom! Always! Here are two printable signs that you can print out for the mamas in your life who are inspiring, amazing, and crazy lovely! These 52 printable positive affirmations are from Personal Creations. Thanks for sharing them with me! I love this idea. You could print out these affirmation notes and make a notepad for your mom, one for every week of the year! Follow these simple steps from Personal Creations to assemble a tear away booklet of affirmations. Print each of the provided affirmation pages and cut them out. Stack the affirmation pages in order on top of one another. Optional: cut chipboard to the size of the affirmation pages and place it at bottom of the stack. Attach binder clips on either side of the stack to hold it together. Using a paintbrush, paint glue along the top edge of the stacked pages. Once dry, apply two more coats. Display your affirmations on a mini easel or wrap up as a gift! 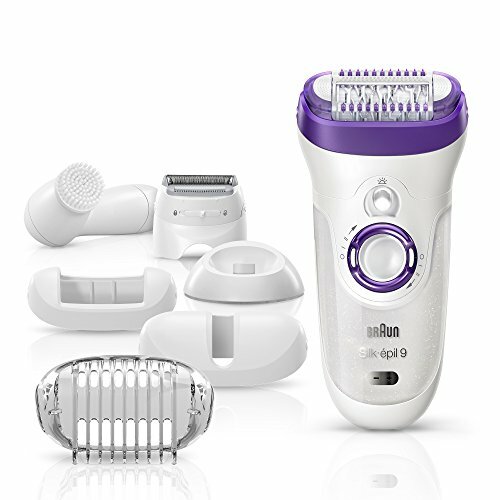 This Mother's Day, Phil and Mama recommends the Braun Silk-épil 9 9-579 Wet and Dry Cordless Electric Hair Removal Epilator for ladies. The hubs brought mine a few years ago, and to this day, I still use it every month or so to epilate the hair on my arms and legs. If you're not afraid of a little bit of pain, you could also remove the fuzz off your face with this baby. This year, I asked my mom what she wanted for Mother's Day. It's so hard to pick something for my mom. So I'll be getting her face masks (her fave) and taking her out to lunch, with Phil. We'll have a great time. My mom was so cute this year. She brought me a Mother's Day card and said Phil picked it out :) My mom is crazy wonderful, crazy naggy, crazy amazing, and the best mama I can ask for. I hope one day Phil will let me know that I am the best mama he could ever ask for! Happy Mother's Day! Check out our other printables here at Phil and Mama!! Learn how to make your own printable signs here! DIY! Grab over 140 Amazon promo codes and coupons from Groupon today!